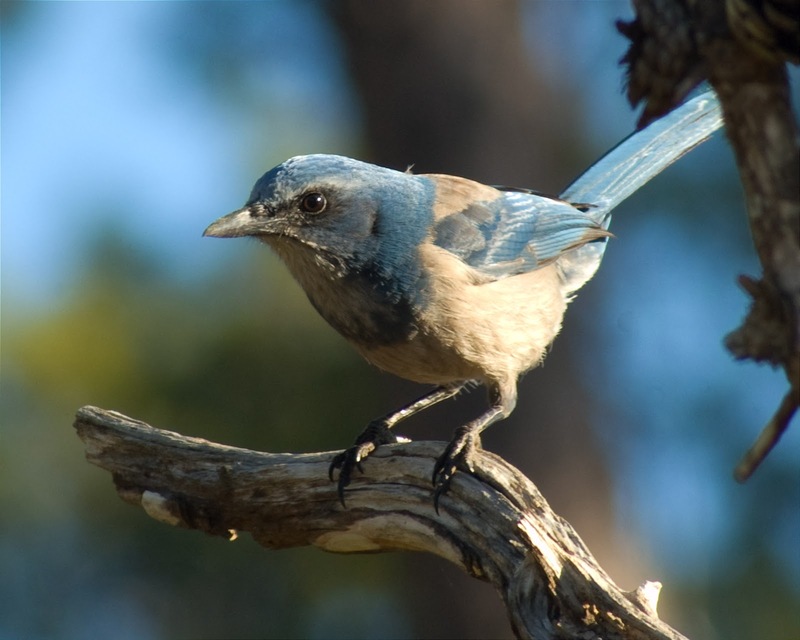 Mt favorite place to photograph the Florida Scrub Jay is an area of the Ocala National Forest known as The Big Scrub. It is a distinctive habitat with sandy soil, sand pines and is thick and difficult to traverse. I have never seen a Scrub Jay wearing a leg band which is all the better for photography. I've seen these birds in other areas of Florida and they all seem to be wearing an inordinate amount of jewelry. The Big Scrub is home to a significant population of Gopher Tortoises and a variety of snakes to include the Pygmy and Eastern Diamondback Rattlesnakes. I do advise people to stay out of the ONF during hunting seasons or make sure and visit the web site to determine exactly where the hunters will be. The biting flies will soon be out in force so be prepared for them and take some repellant.